Picture this: you are dreaming about a 707-horsepower Dodge Charger or Challenger Hellcat, but the reality of your life means you need to buy a Jeep Grand Cherokee. Mike Manley, CEO of Jeep, confirmed that there is an upcoming product just for you: a supercharged Grand Cherokee will arrive in July 2017. In a recent interview for Australian magazine Wheels, M. Manley announced the arrival of this supercharged beast for July 2017. Also: A Jeep Grand Cherokee Hellcat In The Works? With a 0-100 km/h sprint taken care of in 3.5 seconds, the big SUV will be faster than the BMW X5 M, the Porsche Cayenne Turbo S and the Bentley Bentayga. In fact, this Jeep will be the fastest SUV currently on the market. It remains to be seen what the Germans and the Brits will do to try and beat the long-legged demonic feline. 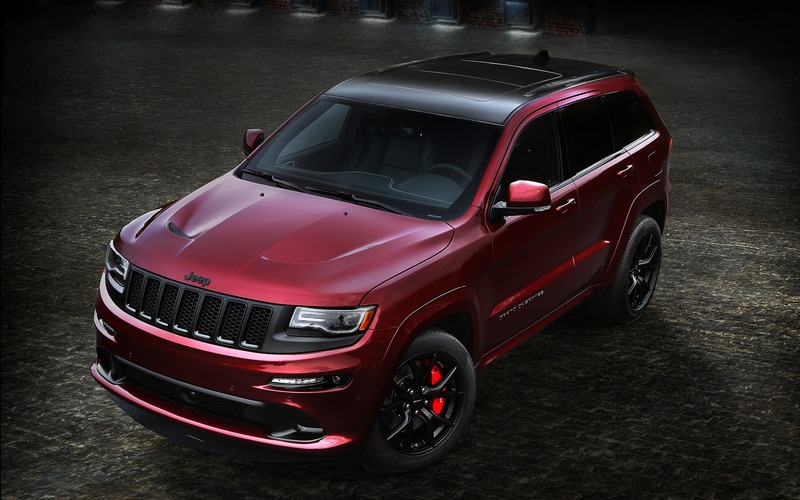 This new model should be named Grand Cherokee SRT Trackhawk and could theoretically be the brand’s fastest vehicle. For now, this honour belongs to the Grand Cherokee SRT, which can reach 100 km/h in 5 seconds. It is powered by an naturally aspirated V8 developing 470 horsepower and paired with an eight-speed automatic gearbox.